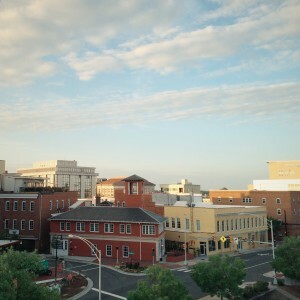 Home is where the Durham is. You can measure a year a lot of ways — seconds, minutes, hours, days, weeks, months (and those are just the obvious ones). For me, it was measured in a lot of firsts and lasts. I want to list them, but I think over the last 300-some days I’ve been able to articulate the the hurt and sadness. But, I also have to remember the warmth brought on by all the good that was 2015. This year created valleys and gorges in my soul, but it also built mountains — some big moments of my life happened in 2015. 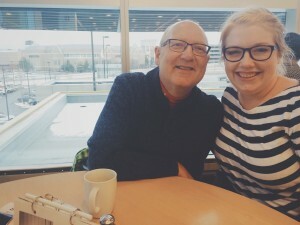 One of the last photos my father and I ever took during a trip back to Minnesota in December 2014. My father’s arms couldn’t stop moving, even when my mother and I were holding his hands, he kept flailing. Almost as if being confined to a hospital bed during his last hours was the worst form of torture he could imagine. Watching him was the worst torture I could imagine. I couldn’t even begin to think about how much pain he was in. I wanted to take that pain away. I wanted so much to help him during his last days. I knew they’d be his last days — his last hours. As I got onto the plane to leave North Carolina I just knew that would be the last time I saw my father. There was no doubt in my mind. I had packed my bags knowing I’d be attending a funeral in the near future. When our social worker called to warn me about how bad it was I got angry. I screamed. I cried. I don’t think she knew what do with me.